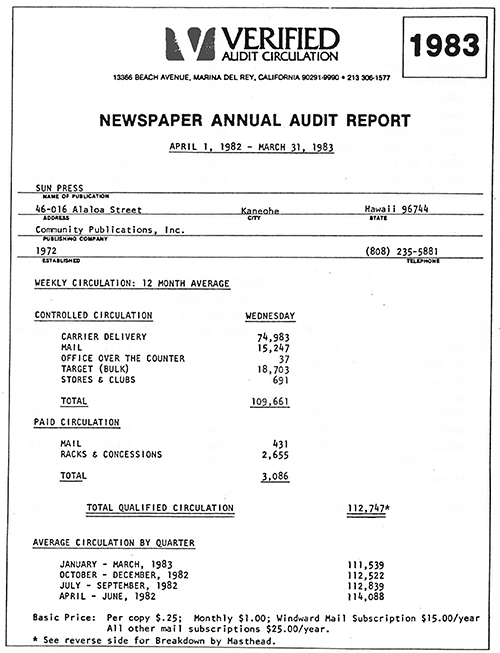 Hunt for the Oldest Verified Audit Report! The Sheridan Press is a daily (Monday – Saturday) newspaper serving Sheridan County, Wyoming. The Sheridan Press has been independently and locally owned since 1887. Do you have the oldest Verified Audit Report lurking deep within the dark recesses of your filing cabinet? 1990s, 1980s, 1970s, 1960s or even older? Share your oldest Verified audit report, and you could win a $25 Starbucks gift card and have your name featured in a future issue of ViewPoint, Verified's e-newsletter. 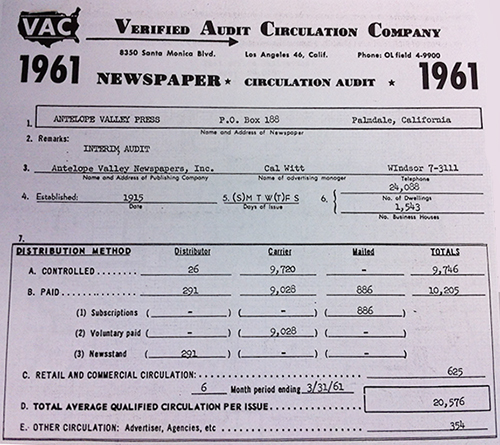 Verified was founded in 1951, and we're looking for the oldest audit report still existing. We've issued thousands of reports over the past 63 years and, if you've saved a copy, you could win a prize! 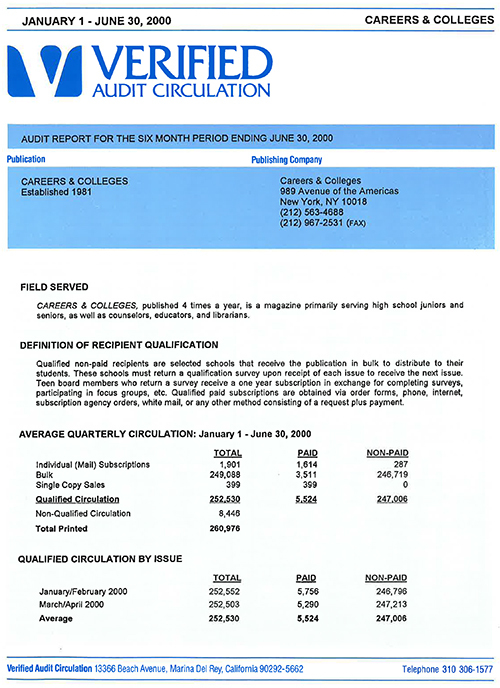 Fax, scan or take a photo of your oldest Verified audit report and send it to Verified at 415-461-6007 or e-newsletter@verifiedaudit.com. 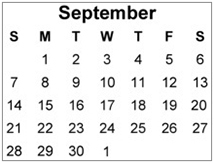 Make sure that the report date is clearly visible. Include your name, phone number and email with your entry. Prize: You could win a $25 Starbucks gift card! Examples can be found below from 2000, 1983, 1961 and 1958! When Vibrant Media's researchers focused their assessment on media titles and brands with which consumers were familiar, they exposed a greater disparity in levels of distrust between brands and media titles. The number of consumers that distrust content from media titles they know (12%) is double the number who distrust content from brands that they know (6%). When looking for more information about a brand after seeing an ad, one-third of respondents said the most useful source of information was the advertiser's own website, with this emerging as the top choice ahead of others such as videos (19%), images (18%), advertorials (8%) and articles written by journalists about the brand (6%), according to a Marketing Charts report. Consumers aged 13–34 years old proved to be more trusting of all content producers, compared to those aged 35–64. The study also found that 50% of respondents feel that it is important that they be informed that an advertiser has paid for content. The research results offer reassurance to publishers considering introducing branded content along with their editorial, says the report. "The fact that consumers' level of trust in branded content is on par with editorial is very surprising," said Craig Gooding, Executive Chairman & Founder of Vibrant Media. "The higher levels of distrust in publishers' content than branded shows far less cynicism than expected. The findings reassure publishers offering (responsible) branded content are not compromising their relationship with consumers." According to Forrester, all respondents were in managing positions or higher, and all were "responsible for digital advertising sales or partnerships." 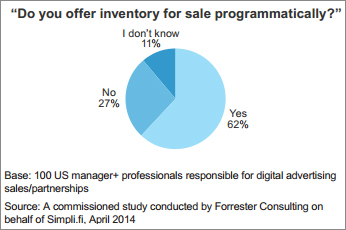 In truth, it's more likely that not all 100 respondents were responsible for digital advertising sales or partnerships. If they all actually were responsible for digital advertising, then 11% have pretty clueless sales teams. Frost Prioleau, CEO of Simpli.fi, the company that commissioned the study, reckons those 11% weren't involved on the programmatic side, which is also entirely possible. Perhaps those 11% are only involved in local TV buys (in which case the definition of "digital" would be stretched, but that's a whole other topic). No matter what the excuse is for those 11%, it stood out as a high number. For all the talk of cross-channel and cross-platform, you would think digital ad professionals in managerial positions would at least know whether or not they were selling ads via programmatic. Later in the report, Forrester notes that "education is the missing link," writing that staying current with emerging resources is ideal but difficult. "Close to two-thirds of publishers reported that their very own direct selling teams need training, as do their ad ops and marketing teams," the report reads. It should add: "And 11% need to send a quick memo to their digital ad sales leaders to make sure they know what's going on within their own department." Many people organize by issue. 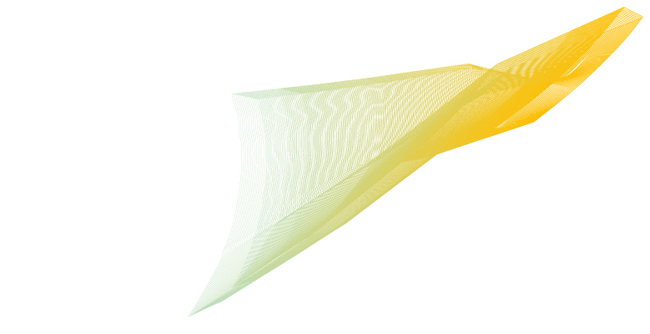 They put all documents related to a single issue in a single folder – print invoices, route lists, postal documents, etc. Other people find it easier to organize by category – printing invoices with the cancelled check stapled to them – in one binder section. When the auditor arrives, be sure that all the materials requested in advance of the audit are ready, the Quarterly Printing and Distribution reports (QPD) are completed and the Circulation Analysis by ZIP/Postal Code is prepared. When the auditor has to wait for you to find documents or complete the QPD, it wastes time and can obstruct the audit. If you are submitting your audit materials directly to Verified for the audit, be sure to meet the material deadlines and include all the materials. Missed deadlines can mean delayed audits and late reports. 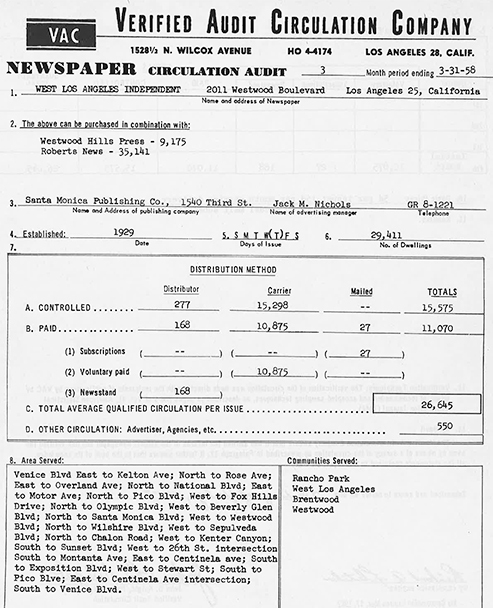 We realize that the circulation audit is generally only one of your many responsibilities. However, if you put aside time to focus on your audit on a regular basis, the effort will be rewarded with a more efficient audit! If you have any questions regarding preparing for you audit, please contact Verified at 415-461-6006.